He joined our Ambassadors and took part in steering the programme, planning and preparing conferences, alongside many other activities. 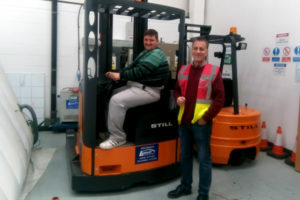 Throughout all of his work with us, we have used every opportunity to support him to overcome his barriers, make friends and adopt a professional attitude towards finding work. Well done, Matty, from everyone at TYA!